Attorney General Loretta Lynch speaks during a news conference accompanied by Principal Deputy Assistant Attorney General Vanita Gupta, left, and Chicago Mayor Rahm Emanuel Friday, Jan. 13, 2017, in Chicago. The U.S. Justice Department issued a scathing report Friday on civil rights abuses by Chicago's police department over the years. Chicago police officers are poorly trained, misconduct investigations are largely biased toward cops and officers were not properly supervised, according to a blistering, long-awaited report released Friday by the U.S. Department of Justice on how the Chicago Police Department systematically violated the U.S. Constitution and federal laws. “All of these issues are compounded by poor supervision and oversight, leading to low officer morale and an erosion in officer accountability. These are serious problems, and they bear serious consequences for all Chicagoans,” said U.S. Attorney General Loretta Lynch during a Friday press conference in Chicago. Lynch said the Justice Department and the city will continue to negotiate over a court-enforced agreement to ensure further reforms will be implemented. During her announcement of the findings, Lynch said the city has already taken steps to hold police more accountable, such as overhauling the city agency tasked with investigating police shootings, creating new policies mandating the release of videos and other police reports in misconduct investigations, and expanding the use of body cameras for officers. Standing next to Lynch at Friday&apos;s press conference were Mayor Rahm Emanuel and Police Supt. Eddie Johnson. "Misconduct not only harms the individuals affected, it damages the reputation of the Chicago Police Department," Emanuel said. "At the same time – it is important to recognize that the incidents of misconduct cited in this report do not represent the values of the City of Chicago – and I believe firmly they do not represent the good work of the vast majority of the men and women of the Chicago Police Department – as the report itself cites. That is why I am confident that any wrongdoing cited in this report can be solved by what most Chicago police officers are doing right and doing right every day in very trying circumstances." Emanuel said his administration will negotiate in good faith toward a consent decree, which would set up federal court monitoring to make sure the city carries out the changes. Cook County State&apos;s Attorney Kim Foxx said that a consent decree is important. Lori Lightfoot, head of the Chicago Police Board, said the agreement could also be financially beneficial to the city and police officers. "It&apos;s a process which will save us tens of millions of dollars in taxpayer dollars that are going out the door every single year in payments and judgments," she said. "I’d rather use that money to support our officers than pay plaintiffs lawyers. ... If we don’t do that, the plaintiff’s bar is going to continue to sue the city, we are going to continue to hemorrhage money, we’re going to continue to have to go into the bond market at crazy interest rates and pay for settlements and judgments. That is madness, and we have to stop that." As first reported by WBEZ, the federal report had been expected to come out Friday. Federal investigators hurried to conclude their investigation before President-elect Donald Trump is sworn into office because they worried the release of their findings would be delayed or buried, according to sources familiar with the probe but not authorized to comment publicly. Those concerns come as Trump’s nominee for attorney general, Alabama Sen. Jeff Sessions, has criticized federal investigations into police departments and said they lower morale among officers. “Morale has been affected, and it&apos;s impacted the crime rates in Baltimore and crime rates in Chicago. I don&apos;t think there&apos;s any doubt about it,” Sessions said during his confirmation hearing Tuesday. Shari Runner, President and CEO at the Chicago Urban League, said she too is concerned about the follow through under the Trump administration. Shortly before the Justice Department unveiled its report, the president of the Chicago police officers&apos; union criticized federal officials for the “lightning speed” of the investigation. During the Friday press conference, Lynch dismissed claims that politics influenced the Justice Department&apos;s probe. "This is not a political process. This is in an investigative process," she said. Lynch launched the federal probe into the Chicago Police Department in December 2015 after a Cook County judge forced the city to release a video of a white Chicago police officer fatally shooting a black teenager. 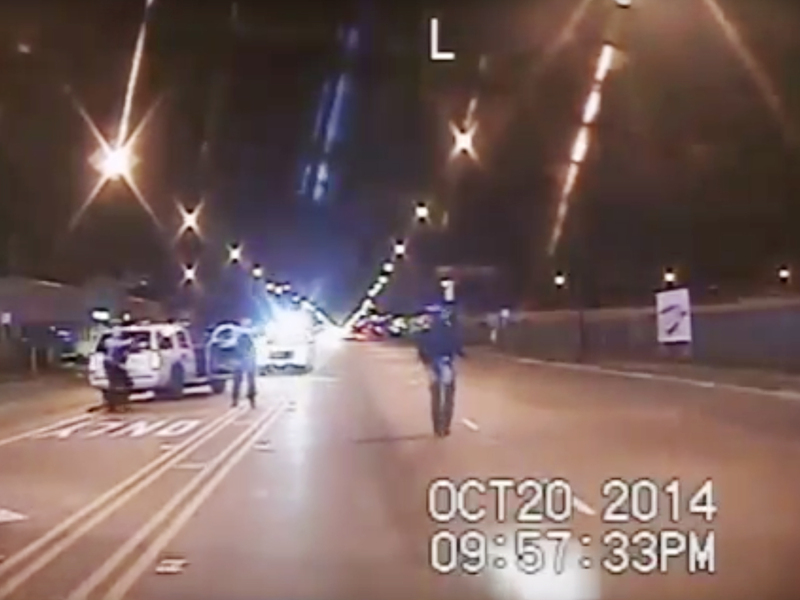 Police originally said the 2014 shooting was justified because the teenager, Laquan McDonald, was walking toward officers with a knife. But video from a police dashboard camera showed McDonald veering away from police when Officer Jason Van Dyke shot him 16 times. The release of the video sparked protests, intensified pressure on city officials to hold police officers more accountable, and led to calls for Emanuel and then-Police Supt. Garry McCarthy to step down. Emanuel eventually fired McCarthy, saying he had become too much of a distraction. The mayor also created a task force charged with recommending changes to how police are disciplined, and he appointed former federal prosecutor Sharon Fairley as the head of the Independent Police Review Authority, which had long been criticized for its track record of investigating police shootings. You can read the Justice Department&apos;s report, a fact sheet and the agreement below.